Cincinnati, OH & the Tri-State Area. There is a $25.00 fee to cover my costs and I hunt on a reward basis, you donate what you feel it is worth to you if I find your lost item. All searches are performed with the permission of the property owners. Will search on land and in warm shallow water to 4 feet. 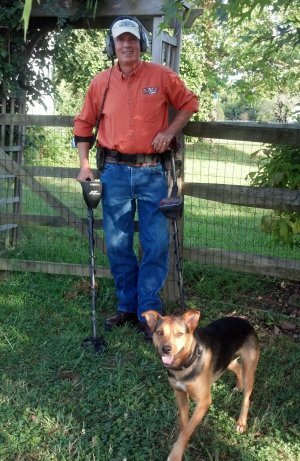 A life long hunter, I have been metal detecting since 1999. I have successfully located coins, jewelry and keepsakes. I have several modern discriminating detectors and the experience to locate your ring quickly as long as you know the general area where you lost it. I look forward to helping you find your lost treasures.